Outlook: The scene will have a much different look than the fall when cross country ruled. The top three runners from the state meet Emma Argo (Eureka), Lydia Roller (Staunton) and Amelia McLain (Benton) will compete in 2A. As well five of the top ten moved up. But Chicago Latin standouts Marianne Mihas and Ava Parekh will infuse the ranks. There is the talk of both of them racing the deuce a few times and maybe in the post-season for team points. They placed third and fourth in the 2A cross country state championship last fall. Katelyn Robbins had a rejuvenated cross country season in which placed fourth. In theory and off of momentum, she would be the first person of interest as the front runner. On paper look for Carolina Jacino and Karlie Hey had good years running this event last year. They both ran under 11:40 and could be in the 11:10s this spring. 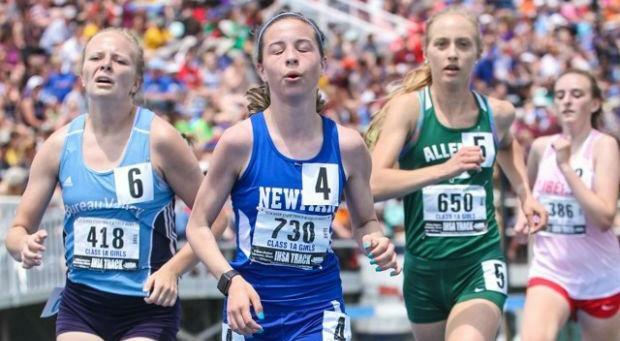 A host of new blood may sprout this spring such as Julia Wolke (Liberty Christian), and Emily Manchester (IC Catholic), and Gabrielle Spain (Shelbyville).